Pakistan is developing a new generation of nuclear-tipped tactical missiles that has alarmed India and the world. The buddy-buddy relations between Prime Minister Narendra Modi and President Barack Obama were evident at the Oval Office on June 7-their seventh meeting in two years. But the ghost of Pakistan hovered in the room like a Betaal, as an Indian official put it, likening our north-western neighbour to the irksome character in the ancient fable. India had recently lobbied successfully to get the US Congress to put a temporary hold on the sale of eight nuclear-capable F-16 fighter jets to Pakistan by refusing to subsidise their cost. The more alarming concern for India, the US and the rest of the world, however, is Pakistan's development of a new generation of nuclear-tipped missiles that threaten to lower the nuclear threshold and make the sub-continent, as a US official put it, "the most dangerous place in the world to live in". Pakistan has reportedly inducted these 'tactical' nuclear weapons as part of its artillery arsenal to pulverise any advancing Indian army division in the event of a war. Dr Sampuranand was a freedom-fighter and educationist. Born on 1 January 1891 at Benaras, he participated in the Non-cooperation Movement and edited Maryada, a Hindi monthly with Pandit Madan Mohan Malaviya. In 1922, he was elected to the All-India Congress Committee, and later became provincial Minister for Education in the Uttar Pradesh cabinet and then Minister in the Union Government from 1951 to 1954. He held several portfolios such as education, finance, and home labour; from April 1962 to April 1967, he was Governor of Rajasthan. On October 28, 1951, hardly a month after the first Chinese troops entered Lhasa, the Tibetan capital, Dr Sampuranand sent a letter to the Prime Minister from Lucknow. It was marked ‘Secret’. Reading this letter, one realizes that several prominent politicians were aware of the Chinese threat on the Northern borders of India. What the Government has done for the last 65 years on such warnings is another matter. Here is the letter from Dr Sampuranand. The need for a re-look at our nuclear posture has become imperative after the Jan 2016 Pathankot attack. What if the infiltrated terrorists had succeeded in blowing up several aircraft? How would India reacted? What would have been Pak response to the Indian reaction- be it limited foray/air attacks or whatever! 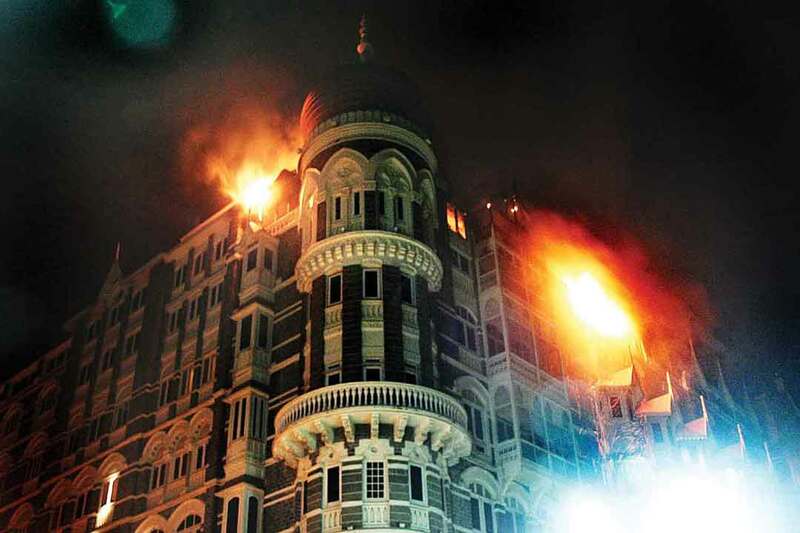 Could India have exercise restraint like the 26/11? It seems that Pakistan must have calculated the risks and still gone ahead or was unable to control its own proxies. In either case the result would have been the same- escalation of conflict…..
Pakistan position is clear. Since that country is weak in conventional arms and lacks strategic depth, it has a policy of using nuclear weapons first in case of a conventional attack on its mainland. One of C Northcorte Parkinson’s law on triviality says that the least important but easily visualized issue takes disproportionate time of discussion. Our media, both electronic and print seem to faithfully follow this rule generally but more so in case of defence and security. Thus while lot of ink is spilt on say defence scams or OROP (one rank one pension), weighty issues like India’s nuclear posture or failure to deter terror attacks seldom attracts enough attention. Politicians, with their antenna are firmly tuned to public mood, pay attention to the trivial while the more important issues get sidelined. Indian nuclear posture has been the singular victim of this syndrome. Cyber has been one of the key discussion items during both Prime Minister Modi’s just concluded visit to the United States and President Xi Jinping’s visit to the US some nine months back. After Xi’s visit, China and the US signed a Cyber Agreement in October 2015. 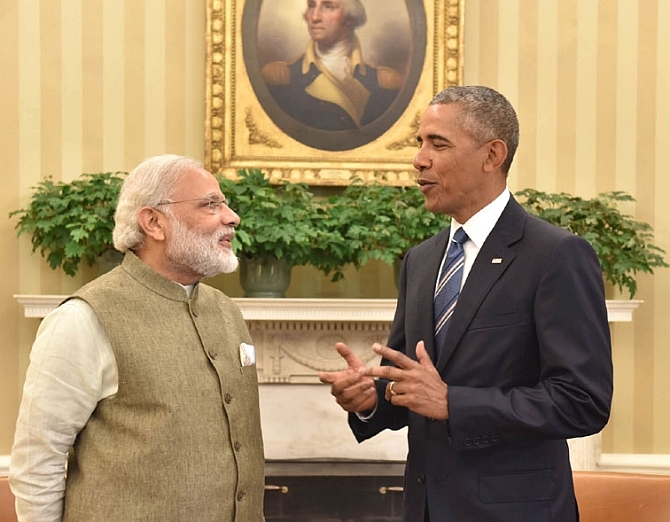 India and the US will ink a cyber agreement in the next sixty days. Notwithstanding these similarities, the intent of and expectations from these two agreements are fundamentally different; the former is an attempt to manage insecurity and the latter is a quest for security. An analysis of the joint statements issued at the end of the Modi and Xi visits to the US highlights the contrasting differences in India and China’s bilateral ties with the United States in the cyber realm. Xi Jinping’s state visit to the US took place in the shadow of a massive cyber-attack on the Office of Personnel Management (December 2014), which compromised the fingerprint records of 5.6 million people and Social Security numbers and addresses of around 21 million former and current government employees. 1 The US has been accusing China of theft of intellectual property targeted against its defence industries, private sector and key governmental functions; amounting to economic espionage. Accusations in this regard go back to 2004, when a series of coordinated attacks – dubbed as Titan Rain – targeted the computer networks of Lockheed Martin, Sandia National Laboratories, Redstone Arsenal, and NASA. Cyber espionage featured in every high-level talk and security report. The issue became more complex when the US Department of Justice indicted five officers of the Peoples Liberation Army (PLA) on the charges of hacking and economic espionage directed at US entities in the nuclear power, metals, and solar products sectors. This was the first time that the US judicial system had accused state actors of hacking and hurting the national interest in the cyber domain. While reporting on the visit of Modi to US and the US-India relations which are on the upswing, the state run Global Times published an article on 08th June 2016[i] with the title “India’s vision cannot be realized by containing China”. It is very clear that observers in China and the leadership are concerned with the new trajectory in US-India relationship. It is being seen as a grand design of USA to contain an aggressive China by also engaging India. The quoted article while acknowledging the strengths of India is also weary of the current developments. It concludes with “India knows its great vision cannot be realized by bashing or containing China. Instead, they should expand cooperation, explore the potentials and build mutual trust for their own good. China is more of a help than a competitor for India. This will eventually constitute India’s fundamental understanding of China[ii]”. This paper seeks to examine the present status and implications of US India relations for global security, stability, Indian Progress and development particularly in the contest of the recent visit of Modi to USA. The China factor can hardly be ignored in the strategy matrix and the impact on China is also discussed. Prime Minister Narendra Modi and President Barack Obama in the Oval Office, June 7, 2016. 'If the dimensions of the strategic partnership worked out by India and the US seem like a grand alliance targeted at you-know-who, China had better realise that it has fathered it,' says B S Raghavan, a long time observer of China. My first reaction to the news that Prime Minister Narendra Modi was going to the United States for yet another meeting (his seventh) with President Barack Obama, was one of scepticism. My misgivings arose on four counts: First, about Modi over exposing himself, thereby incurring a dent on his gravitas, affecting his and India's emerging role as a world leader; second, about his being discounted in the eyes of the political leadership and public opinion in that country and the international community as a supplicant or a client of the US many of whose policies and approaches have been self-centred and hegemonic; third, about the possibility of such a manifestly effusive and effervescent relationship impairing India's capacity to judge world issues on merits and its right to independent decision-making; and fourth, about drawing needless attention on himself by investing so much time and energy in cosying up to someone who is lame duck. But seeing him in action on US soil, especially after going through the statement issued jointly by him and Obama, and more emphatically, after listening to his speech to the joint session of the US Congress, I am happy to cast off my misgivings like worn out garments. Why Shivraj Patil is wrong about 26/11 Mumbai attacks He is being economical with the truth about November 2008. On June 11, Punjab governor Shivraj Patil made some astonishing remarks in the context of the November 26, 2008 Mumbai terror attacks. 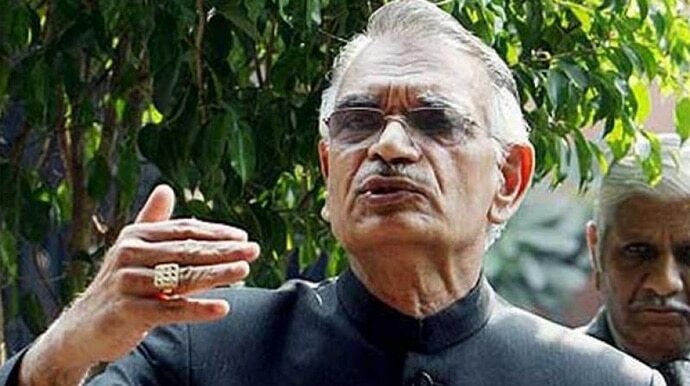 'No aircraft was available here (in Delhi)': Shivraj Patil told ANI. Patil, sacked as the Union home minister for his tardy response during the attacks, was responding to a query from news agency ANI about whether his ministry had delayed its response to the attacks on the night of November 26, 2008. One statement by the honourable governor screamed for attention because it displayed either his lack of awareness about the events of the night or worse, a narrative different from the one given by several other key players that night. "No aircraft was available here (in Delhi), and then we called one from Chandigarh and dispatched 250-300 NSG commandos within two-three hours to Mumbai and I also travelled with them. That was a freight aircraft and we travelled to Mumbai standing." He is being economical with the truth, and as someone who researched these attacks and their aftermath for several months, I can say this is far from what happened. The ‘Murree Hijacking’ is a classic case of strategic deception by Pakistan. Strategic deception is very much part of conventional warfare exercised in a manner to lull the enemy into confidence, trust and obfuscation of the objective of war. Surprise is another facet of war, employed once forces are joined. Military history is replete with instances of some extraordinary and ingenious methods of strategic deception. But this would be the first time that a nation-state has used strategic deception in support of terrorist attack by non-state actors. 26/11 therefore constitutes an act of war. Pakistan partially succeeded in paralyzing the internal security command and control apparatus of India during the crucial hours of attack. A nine member high level team comprising MHA officials and other security agencies, led by no less than the then Union Home Secretary Madhukar Gupta was in Pakistan, when Mumbai was attacked by the LeT terrorists with direct involvement of Pakistan military-intelligence establishment. The team had arrived in Islamabad on 24 November 2008 and was to return two days later, i.e. 26 November. Surreptitiously, the hospitality was extended by an extra day. It involved a night stay in the salubrious environment of Murree, a hill station, 60 km northeast of Islamabad. Reports suggest that the Pakistani authorities ensured that the team was incommunicado in that location when Mumbai came under attack. The Malabar Exercise: An Emerging Platform for Indo-Pacific Cooperation? In 20 years, Malabar has gone from a US-India drill to a platform for wider regional collaboration. But will this last? On June 7, the United States, India, and Japan began the twentieth iteration of the Malabar Exercise. In the two decades of its existence, the exercise, which began as a joint U.S.-India naval drill back in 1992, has evolved into not just a key aspect of U.S.-India defense ties, but a key platform for engagement in the Indo-Pacific more broadly. First and foremost, the Malabar exercise is testament to the strength and significance of the U.S.-India bilateral relationship. Though there was a temporary suspension of the exercise during U.S.-India tensions back in the 1990s for a few years – practitioners from both sides routinely emphasize today that over the years Malabar has become a robust military exercise that is multi-dimensional and complex in nature. But today, the conversation around Malabar has gone from it being a key part of U.S.-India engagement to a broader platform for Indo-Pacific defense cooperation. Much like the path taken the Cobra Gold exercises – which began as a U.S.-Thailand engagement but is now Asia’s largest multinational drill – Malabar has begun to multilateralize to include other American partners in the region. The initial impetus for this arose during the George W. Bush years, when the 2007 iteration of the exercises included Japan, Australia, and Singapore – two key U.S. treaty allies and one longtime strategic partner (Japan subsequently participated in 2009 and 2014 as well). But the momentum towards this has increased noticeably in recent years, with Japan included as a permanent member last year and calls for Australia to follow suit as well. The statement can be seen as a rebuke to Washington over the drone killing of the Taliban chief. It took 17 days for Beijing to break its silence. The statement came even as a delegation of senior US officials was heading for Islamabad – Richard Olson, US special representative for Afghanistan and Pakistan, Peter Lavoy, Senior Advisor and Director for South Asian Affairs in the National Security Council, and Gen. John Nicholson, commander of the US forces in Afghanistan. Fitting words back then, perhaps still fitting today. Long forgotten or ignored by America, the key to a friendly and renewed access to these far flung Pacific island states is in the soft-stepping approach of a light footprint. At first glance the Pacific appears vast and remote, yet upon further scrutiny, one can make out the myriad of islands that populate the world’s largest body of water—especially south of the equator. And not far off from those pioneer days of early aviation, one remembers reading about the disappearance of Amelia Earhart’s Lockheed Electra searching in vain for a small speck of sand in the Gilbert Islands. Through talking to many of the participants of the 1988 operation, Sushant Singh paints a picture that is both informative and readable. Sushant Singh’s slim volume Operation Cactus: Mission Impossible in the Maldives (New Delhi, Juggernaut, 2016) tells of India’s intervention to save the president of the Maldives Maumoon Abdul Gayoom from a coup attempt in 1988. The story hearkens back to the time when India first learnt what ‘out-of-area contingencies’ were all about. The coup was carried out by Sri Lankan Tamil militants on behalf of the Maldivian businessman Abdulla Luthufi. The Indian Peace Keeping Force (IPKF) operation in Sri Lanka was escalating and when the crisis hit the Maldives, there were no ‘ifs and buts’: New Delhi was ready to go. Singh tells us the story of how troops took off from the parachute regiment base in Agra, took an almost five-hour flight and touched down at Hulhule airport, one kilometre across the lagoon from Male, just 16 hours after the government of India received the SOS from the besieged president in Male. Present-day Israeli foreign policy is giving considerable attention to the Southeast Asian countries, namely Vietnam, the Philippines, Thailand, Singapore and Myanmar. In the past few years, there has been a heavy traffic of high-level defense-oriented visits from both sides; as a result, military cooperation has received greater importance. The current state of political ties with the West has brought about this shift in Israel’s foreign policy toward the Asian region, particularly Southeast Asia. Defense relations with India and South Korea are visibly on the upswing, and economic relations with China are strong. As part of Israel’s “Look East” policy, equal importance is given towards strengthening ties with Japan. Although the extent to which both countries can advance their ties in the defense arena is uncertain, cyber security is one field where both countries see significant potential for cooperation. Several factors have led to this bonhomie. What Has Facilitated Israel’s Entry into the Region? Rising anti-Israel social movements (such as Boycott, Divestment, Sanctions) in European countries including the United Kingdom, Austria, Sweden and Ireland, mainly over settlements and military activities, are partly responsible for this policy reorientation. Not all is well between the European Union and Israel, as they do not see eye-to-eye on issues, particularly related to the construction of settlements. While the EU considers its funding for some structures in Area C of the West Bank to be “humanitarian assistance,” Israel claims it is “a political step designed to help the Palestinians to establish facts on the ground.” From time to time, Israel has even demolished some of these structures and caused considerable anger in Europe. As a result, relations between the two are cold. In two years on the China desk in the Office of the Secretary of Defense, colleagues and I had frequent interactions with China’s People’s Liberation Army (PLA). They were our counterparts out of China’s embassy in Washington, and we had a cordial and productive working relationship. Our job was to help manage the defense relationship between the United States and China, which was characterized by growing cooperation and frequent high-level visits. As representatives of our respective governments, we also communicated on thornier aspects of the relationship. The PLA members sometimes offered clues to their mindset regarding their neighbors in the region. These hints didn’t come off as malicious, just presumptuous, and manifested mostly in asides and off-the-cuff remarks. Ofcourse Vietnam should defer to its “big brother” and be silent. Yes, we can discuss the South China Sea, but the other countries’ claims are a joke. You could feel the frustration coming from our PLA counterparts when we pushed on any number of points. Their response, with varying levels of exasperation —“China is a bigcountry. X is a small country. What more is there to say?” China does not see its neighbors as peers. This thinking is the result of thousands of years of experience and its position as the Middle Kingdom. How does this square with modern concepts of international law and dispute settlement? Chinese President Xi Jinping, right, shakes hands with Treasury Secretary Jack Lew before a meeting at the Great Hall of the People in Beijing on Tuesday. OF ALL the threats facing the global economy, none has more destabilizing potential than China’s decelerating growth rate. After years of booming by exporting and investing, the People’s Republic has begun accumulating debt and excess industrial capacity; yet the Communist leadership in Beijing seems unwilling or unable to make the necessary transition to greater reliance on services and domestic consumption. China’s bloated state-run industries, especially steel and aluminum, are desperately trying to raise cash by flooding the United States and Europe with cheap products, a global fire sale that threatens jobs in those countries, triggers retaliatory measures — and adds to geopolitical tensions already high over the maritime boundary dispute in the South China Sea. The United States and China this month concluded their annual “strategic and economic dialogue” in Beijing, and Treasury Secretary Jack Lew took the occasion to warn his hosts in terms that were relatively blunt, by the standards of such confabs. “Excess capacity has a distorting and damaging effect on global markets,” he said, and “implementing policies to substantially reduce production in a range of sectors suffering from overcapacity, including steel and aluminum, is critical to the function and stability of international markets.” In response, China pledged “to undertake further steps,” even as senior officials protested that they shouldn’t be blamed for overcapacity because it resulted from China’s stimulus spending during the global financial panic in 2008 — for which it was praised by the United States and Europe. China's decision in Vienna to object to India entering the Nuclear Suppliers Group (NSG) should not come as too much of a surprise. China has been uncharacteristically open about opposing India's membership. This also makes it unlikely that it will change its view in the next 10 days, before the NSG meets in plenary in Seoul on June 24. China's action has little to do with NSG, but is simply the latest indication of China's containment strategy against India. Understanding this reality is the first step to finding an appropriate strategy to managing India's relations with China. The NSG membership is important for India but not so much for any material gain. 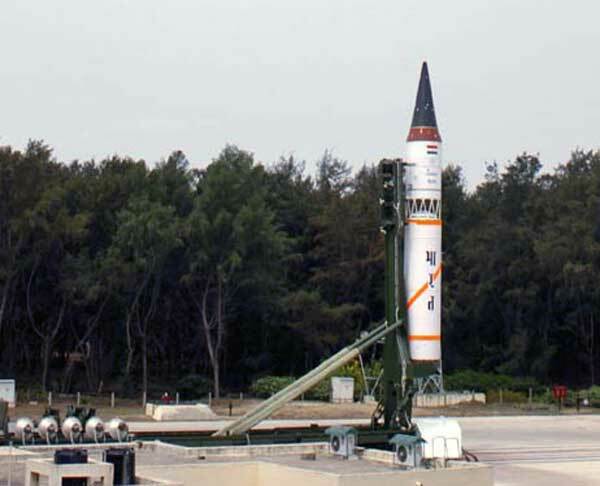 Its importance is mostly that it strengthens the legitimacy of India's nuclear programme and permits India to have some say in making the rules of the global nuclear order, all without joining the Nuclear Nonproliferation Treaty (NPT). Since the NSG, under American pressure, had in 2008 already permitted India to engage in nuclear commerce with other countries, what China's veto does mostly is hurt India's pride but not much more. China's objections have little to do with its fidelity to NSG rules. NSG has admitted members who were not NPT members. Moreover, China's own actions after it joined the NSG demonstrate a completely dismissive attitude towards NSG rules. Against these rules, and its own solemn commitment, China agreed to supply additional nuclear power plants to Pakistan. Well, the 3666-kilometre long pipeline was built and already evacuated 125 bcm of Turkmen gas to Xinjiang as of August last year. At its peak ISIS/ ISIL, which was controlling territory equal to Great Britain with a population of approximately 9 million people, is eventually nearing its end. In Iraq ISIS controlled almost 40% territory that has now shrank to 17%. Two major cities have been reclaimed from ISIS (Tikrit and Ramadi), in addition to a number of significant towns. Encirclement of Fallujah by Iraqi Defence Forces is complete and may fall any day; fall of Mosul is a certainty in the near future. In Syria ISIS has already lost almost 20% of its territories. Syrian Democratic Forces (SDF) with the support of Turkey and US are closing on to Raqqa to retake it. Loss of the so called capital of ISIS will practically mark the beginning of the end of ISIS rule in Syria and Iraq. Chances of ISIS consolidating its positions in Iraq and Syria are slim given the exodus of its cadres and economic strangulation by the US-led alliance and Russia. The Islamic State has been forced to cut salaries of its fighters by 50% in Syria due to “exceptional circumstances” as air strikes continue to target its revenue streams. There are signs of revolt within the rank and file and exodus of cadres from the frontline is a regular affair. In the backdrop of diminishing territorial control of ISIS, there is another competition among the stakeholders that is intensifying – to fill the vacuum that would be vacated by ISIS. The stakeholders who are moving fast to capture maximum territory are- Iraqi Security Forces who would endeavour to regain the control over the oil producing regions of Northern Iraq, Kurds in Northern Syria and Iraq, SDF with the support of US and Turkey would attempt to take over the territory close to Turkish border and coastal area of Syria. Syrian Regime Forces with the help of Russia and Iran would endeavour to expand in North and East right up to the border with Iraq. Cases of Islamic State radicalisation involving members and ex-members of military forces have been observed in various countries. How can this phenomenon be explained? Recent media reports focused on military personnel and former soldiers who attempted to support Islamic State (IS). Malaysia and Germany appear to be particularly vulnerable. Malaysian Deputy Defence Minister Datuk Abdul Rahim Bakri declared in April 2015 that around 70 members of Malaysia’s armed forces were found to be involved with IS. A year later the German Military Counterintelligence Service had identified 29 former soldiers who travelled to Iraq and Syria to join IS. Armed forces of Belgium, France, Georgia and the United Kingdom are also affected. The phenomenon of former militaries taking up arms against IS has been documented, but little has been said on the processes that led some (ex-) troops to abandon their soldier’s commitment and the values which they embraced and sometimes fought for. 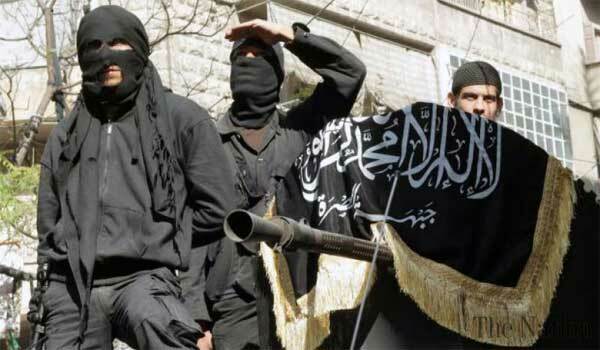 While it does not appear that IS and other Jihadist groups active in Syria attempted to recruit individuals with a military background, the numbers of radicalised soldiers show that all occupations may be infected by the virus of violent extremism. A strong proactive response is needed to protect the states and their citizens from those who might renege on their sworn duty. ORLANDO, Fla. — A gunman who pledged allegiance to the Islamic State opened fire in a crowded gay nightclub here early Sunday in a shooting that left 50 dead and another 53 wounded. The gunman, identified as Omar Mateen, had been investigated twice by the F.B.I. for possible connections to terrorism, the bureau said, but no ties could be confirmed. Mr. Mateen, 29, an American citizen whose parents were from Afghanistan, called 911 and talked about the Islamic State at the time of the massacre at the Pulse nightclub, the worst mass shooting in American history, Ronald Hopper, an assistant agent in charge of the F.B.I.’s Tampa Division, said at a news conference. Other federal officials said more explicitly that he had declared allegiance to the group. “The F.B.I. first became aware of him in 2013 when he made inflammatory comments to co-workers alleging possible terrorist ties,” but could not find any incriminating evidence, Agent Hopper said. Law enforcement officials said the suspect in the attack on an Orlando nightclub on Sunday had been monitored for possible terrorist ties, but was still legally able to buy guns. Bell Helicopter, a Textron Inc. company, announced the unveiling of the Bell 505 Jet Ranger X at the Canadian Embassy in Tokyo on Tuesday, June 7, 2016. 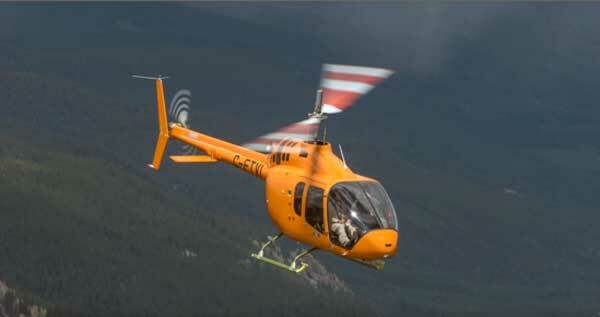 This is the first time the Bell 505 has been on display in Japan and marks the beginning of a four-month demonstration tour across the region. Bell Helicopter leadership was available onsite at the unveiling to discuss the aircraft and its versatile capabilities. The aircraft was on display for a two-day event at the Canadian Embassy in Tokyo, providing visitors an up-close view of the aircraft. Over the course of the next four months, the Bell 505 will be showcased at various customer sites and events in Japan, the United States Embassy and the Japan International Aerospace Exhibition 2016. The big question at the Nuclear Security Summit (NSS) 2016 was the absence of Iran and North Korea. What implications did their absence have? Or what implications would their presence have had, if any? The participants at the NSS seem to meet no clear criteria except that they are seen as responsible players on the Global nuclear scene in western perception. To note is the fact that all NSS summits have been held in the US or treaty allies of the US. The 2012 summit was the only one that included new members – again all NATO allies except for Gabon – invited for nuclear “good behaviour”. For Gabon this included legislating a new regulatory mechanism as well as concrete progress on export controls. Through the life of the NSS, from 2010 to 2016, Iran and North Korea have been seen as being outside the nuclear consensus and have therefore been excluded from the summit. Iran’s notable absence at the 2016 NSS, in spite of the success of the nuclear deal, is perplexing to most. However the reality is more complex. There are a number of interplaying factors in this respect. RUSSIA’S NEW YU-74 ULTRA-MANEUVERABLE HYPERSONIC GLIDE VEHICLES MAY BECOME YET ANOTHER RESPONSE TO THE DEPLOYMENT OF NATO’S MISSILE INSTALLATIONS IN EASTERN EUROPE, ACCORDING TO MILITARY ANALYSTS. Russia’s ‘Revolutionary’ Hypersonic Weapons Second to NoneGoing head to head with the United States and China, Russia has been developing its own hypersonic weapons during the past few years. A hypersonic weapon usually has a speed between 3,840 miles per hour (Mach 5) and 7,680 miles per hour (Mach 10). Furthermore, these systems use sophisticated technologies for maneuvering and boast allow the rapid delivery of warheads, precise targeting and survivability against wide range of missile defense systems. It’s been a bad year if you are a conservative. In fact, from a foreign and defense policy perspective, it’s been a bad start for the new millennium. Coming from a traditional understanding of conservatism, a belief that the lessons and traditions of the past have inestimable value and that the world can never be made perfect and that attempts to urge it towards perfection often do more harm than good, then Clinton, Bush II, and Obama foreign and military policies have all failed, if not equally, then at least with similar results. Clinton engaged in nation building in an attempt to bring about a progressive democratic expansion. Noble, but not conservative, and a failure in light of destabilization in eastern Europe, Africa and North Korean nuclear weapons development. The neoconservative Bush administration followed and, having been saddled with Clinton’s half-measures against terrorism, they attempted to transplant a preplanned democracy in the Middle East while decrying critics of their efforts for having low expectations. Ambitious, but now tragic in hindsight in terms of human lives lost and animus won. Neither Western culture nor democracy found soil suitable for their roots in the fallow Middle East. Obama’s progressive “lead from behind” policy, with its rejection of American exceptionalism and nonadherence to its own red lines, has left instability whereever it has touched and stronger authoritarian rule in the Middle East, Russia and China. This is not unsurprising given the trust that the left has extended to centrally planned governments over time. Nuclear security has improved internationally to a great extent through President Obama’s initiative of Nuclear Security Summits, but it still has a long way to go after the NSS process comes to an end. Since the first NSS summit in Washington, many bilateral and multilateral initiatives have been launched by states to guard against the menace of nuclear terrorism. One of the important successes of the NSS process is that it has helped improve the security of fissile materials present in many non–nuclear weapons states if such materials have not been totally removed. Based on international efforts and cooperation many countries have improved their nuclear security by transforming their Design Based Threat. The NSS process has been a success primarily because it brought the agenda of nuclear security to the forefront of international policy and politically internationalized it the way more formal initiatives on nuclear and radiological security like Global Initiative to Combat Nuclear Terrorism (GICNT), International Convention on the Suppression of Acts of Nuclear Terrorism, Convention on Physical Protection of Nuclear Material (CPPNM) and UNSCR 1540 etc. did not. However, international nuclear security regime remainsuneven and weak. Nuclear security debate is not complete without the discussion on instituting transparency in both military and civilian programs. Generally in international cooperation security is perceived to be gained by sharing knowledge, not by hoarding it. However, transparency would be one of the fundamental and hardest targets in order to achieve a positiveinternational security culture and common international standards for nuclear security. How Can We Fight Homegrown Terror? After the Orlando attacks, the importance of domestic defenses is clearer than ever. The Orlando shooting is unique only in the death toll it inflicted on American soil. Since the founding of the Islamic State in 2014, ISIS leaders have encouraged their followers to wage “lone wolf” attacks against targets in the United States–both civilian and military. ISIS-inspired self-starters followed suit with attacks in Chattanooga, Garland and San Bernardino. Well before today's killing, ISIS violence on the scale of the Orlando attack had become an all-too familiar scene in Europe and across the greater Middle East, where other Muslims bear the greatest brunt of this extremism. The threat of Islamist terrorism will continue as long as the crisis of Islamic civilization remains unresolved. Globalization, refugee flows, and the spread of technology provide extremists with opportunities to spread their message and recruit supporters around the world. Alternatively, self-radicalized individuals may reach out to external groups such as ISIS for guidance and sense of belonging to an important and large group. The Orlando attack, insofar as it was homegrown yet influenced by terrorists abroad, may prove to be a harbinger of future attacks. How should the United States confront this threat? Some excellent work by Special Forces students at the Naval Postgraduate School. EXSUM is below. This paper can be downloaded at this link. https://db.tt/JmTMWQye (Unfortunately it is a drop box link as this paper has not been published on line yet so you will have to access it from a non-government computer). The authors have given me permission to forward / post it. This thesis examines two case studies of special operations forces (SOF) use in the Gray Zone—in Somalia in 1992–1993 and the Philippines in 2000–2015. Using the bureaucratic politics model as a framework and evaluating players, decision games, and outcomes, the choice to employ SOF is replayed and outcomes are evaluated in an empirical light. By expanding on the current Gray Zone literature, our research added depth to the ongoing debate of what lies between war and peace and the Gray Zone’s utility. The Gray Zone is a system of environments between war and peace, relative to the actor (whether state or non-state), in which lethal actions and peaceful exchanges ebb and flow pushing the limits of internationally accepted norms. As an environmental condition, the Gray Zone is distinguished by four factors which detail its complexity and helps to frame the challenges any form of intervention will face. These factors are: multiple systems create this environment; actor relativity; the interconnectivity of lethality and diplomacy; and the friction this environment causes on the international system. Whether or not the Gray Zone term remains in vogue, we must understand the demands placed upon U.S. institutions tasked to accomplish foreign policy in the space between peace and war. As NATO’s Warsaw summit looms, the rivalry between the alliance and Russia is intensifying. The summit’s agenda includes a lengthy list of points of tension, including NATO enlargement, ballistic missile defence, positioning of NATO equipment and forces in Eastern European member states and NATO’s partnerships with states such as Georgia. At the same time, NATO is conducting a series of substantial military exercises in Eastern Europe, such as Anakonda-2016, the largest such exercises since the end of the Cold War. The Russian leadership has responded with a mix of vocal criticism threatening retaliatory measures, most notably President Putin’s statements that Romania would be targeted as a result of its hosting elements of the missile defence shield. Other officials have stated that Russia will also increase military and security exercises and other activities in response. These moves are in addition to others already announced, such as the reconstitution of the 1st Guards Tank army, this year’s strategic exercise Kavkaz 2016, and statements that the Admiral Kuznetsov would be deployed to the naval task force in the eastern Mediterranean and Borei class nuclear powered submarines would conduct test launches of Bulava ballistic missiles, an important part of Russia’s nuclear triad. These additional moves by the Russian leadership are the tip of a much larger iceberg, and are not so much responses to what NATO is currently doing but rather reflections of what would have taken place anyway. Indeed, the Russian leadership is in the middle of a major transition period during which it is implementing emergency measures to move Russia onto a war footing—in effect, state mobilization. 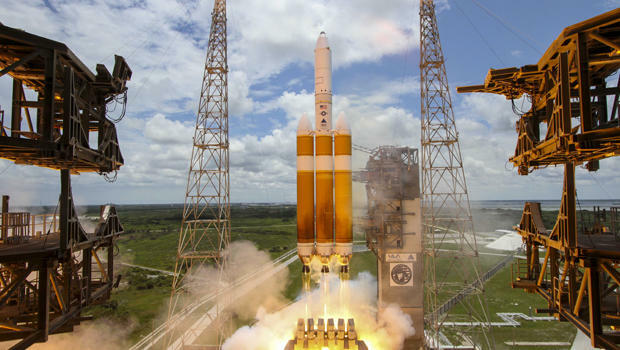 A United Launch Alliance Delta 4 heavy-lift rocket blasted off from Cape Canaveral June 11, 2016, carrying a classified National Reconnaissance Office spy satellite. A towering United Launch Alliance Delta 4-Heavy rocket believed to be carrying a National Reconnaissance Office electronic eavesdropping satellite climbed away from Cape Canaveral Saturday, putting on a spectacular weekend show as it streaked toward space on a blacked-out mission. Running two days late because of stormy weather, the heavy-lift Delta 4 thundered to life with a brilliant rush of fiery exhaust at 1:51 p.m. EDT (GMT-4) as its three Common Booster Core engines ignited and throttled up to full power. An instant later, generating a combined 2.1 million pounds of thrust, the huge rocket began climbing away from complex 37 at the Cape Canaveral Air Force Station. It was only the ninth launch of a Delta 4-Heavy, the most powerful operational rocket in the U.S. inventory, and the first since December 2014. Burning three tons of liquid oxygen and hydrogen fuel per second, the rocket quickly lost weight and accelerated, arcing away to the east over the Atlantic Ocean on a trajectory typically used to put satellites in high “geosynchronous” orbits where they circle the globe in lockstep with Earth’s rotation. As newly elected President Tsai Ing-wen of Taiwan wraps up her first month in office, the United States should expect substantial changes to Taiwan’s relationship with the People’s Republic of China that may complicate relations between the two sides and the United States. While President Tsai does not have carte blanche to drastically revise the status quo, the magnitude of her and her party’s victory affords her significant political capital and freedom of action. Worrisomely, President Tsai and her colleagues appear to be taking advantage of that capital to revise cross-Strait relations. After years on the backburner, Taiwan has returned to the forefront of the U.S. policymaking agenda.